This event is open to potential volunteers, donors, sponsors, partners and referral sources looking to get involved with AVANCE! 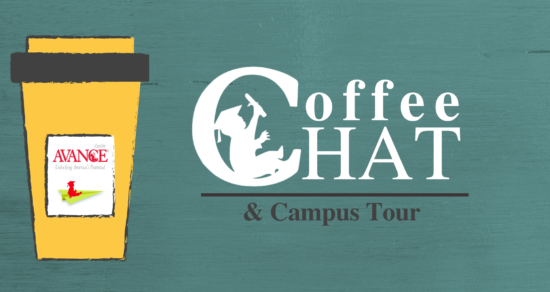 Join us for our monthly Coffee Chat and Campus Tour! This tour will provide a behind-the-scenes look at our Parent-Child Education Program. While you enjoy complimentary refreshments, you’ll hear more about AVANCE-Austin’s unique dual-generation services while meeting some of our remarkable families. Learn how AVANCE builds better and brighter futures by helping young, low-income children and their families achieve their dreams. If you’re able to join us, please RSVP by filling out the form here.